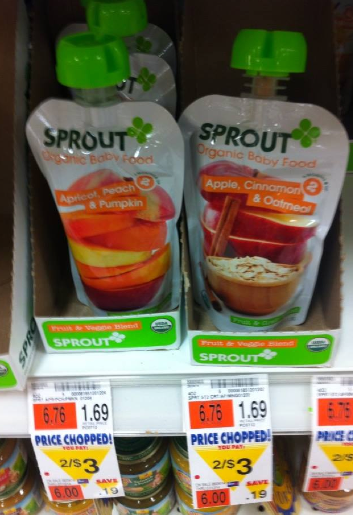 Price Chopper: FREE Sprout Organic Baby Food Pouches! $0.75/1 Sprout Organic Baby Food Pouch - if needed use zip code 62946. These are on sale for $1.50 at Price Chopper = FREE after coupon doubles!